Bal Harbour, the Beverly Hills of South Florida, embodies a tropical beauty because of its lush tall palm trees along the avenue. 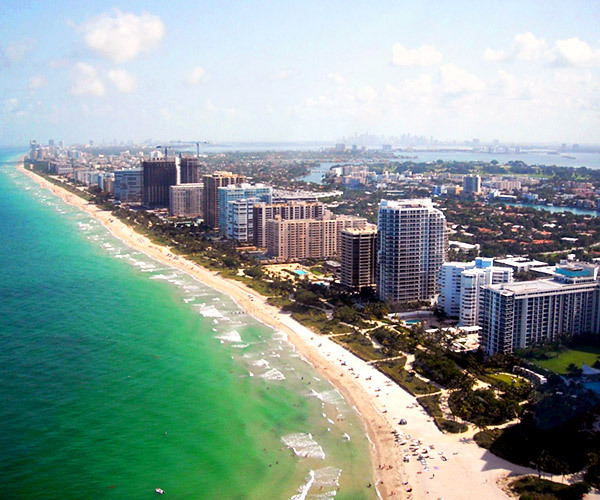 Bal Harbour is located just south of Miami Beach and is well known for its Bal Harbour Shops. Bal Harbour Shops is an upscale, open-air shopping mall in Bal Harbour comprised of high-end designer boutique collections and restaurants, Bal Harbour Shops is also known as the Rodeo Drive of South Florida. Bal Harbour's world-class luxurious beach resorts include the famous Ritz-Carlton and upscale St. Regis hotels. A favored hideaway of the rich and famous, Bal Harbour epitomizes luxury living. Courtesy of P.U.R.E. Investments, Inc.
FLMAOR is current as of 4/19/2019.